In elementary grades, students write so often in other subjects that sometimes writing is a subject that is pushed to the side. But, responding to reading, answering text dependent questions, or writing a report do not give students the chance to be creative and grow as young writers. Having a set writing time that is consistent is so beneficial to your students and your own instruction. Writing is hard! But when writing is an important part of your classroom, your students will know it and begin to love it to! 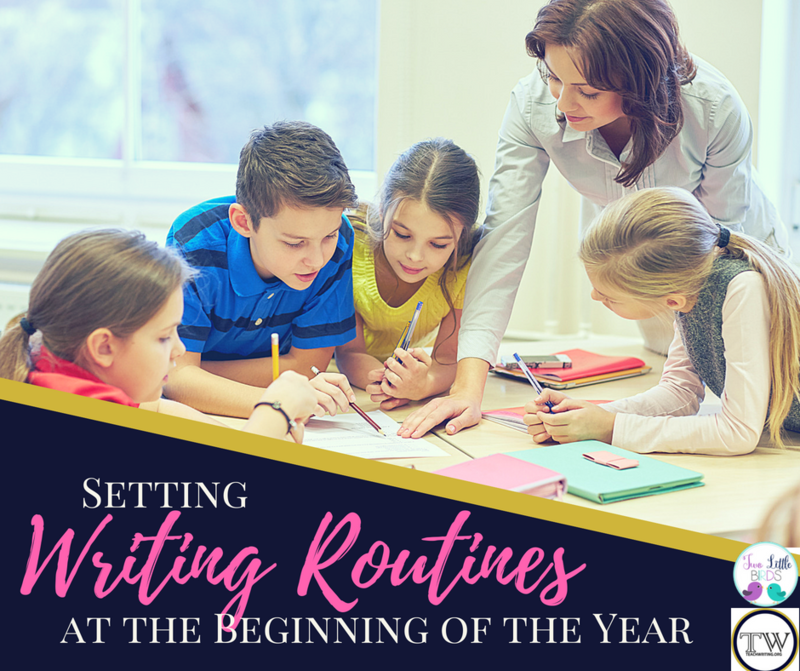 Start the year off right by setting up the routines that will guarantee their success as writers in your classroom. Your first weeks of writing workshop will lay the groundwork for the rest of the year. Your hard work modeling and setting routines will create a workshop that runs seamlessly. There are four types of mini lessons: routines and procedures of writing workshop, strategies for writing (thinking of ideas, writing process), skills (paragraph writing, using quotation marks, run on sentences, etc. ), writer’s craft (writing a strong lead, wrap up conclusions). The first weeks will focus on the routines and procedures of writing workshop. Your first mini lessons will walk students through a typical day in writing workshop, the writing process, how to conference with the teacher, small groups, and peers; and also help students become independent writers. Mini lessons will be focused on teaching and modeling the routines that students will use throughout writing workshop the entire year. Create anchor charts, read mentor text, and make sure that your expectations are clear so that when students venture out to work on a piece of writing on their own, they know exactly what is expected of them. Leave no leaf unturned...use your mini lesson time to cover any problems that could arise during writing workshop. Writer's block, conferencing, need to use the bathroom, broken pencil, lost your paper, "I think I'm done" (they would never say that, would they?) and anything else that you KNOW will distract students while writing. While establishing the routines in writing workshop, your independent writing may not be completely independent quite yet. The beginning of the year is the time to model what independent writing looks like and sounds like in your classroom. Using a fish bowl model to demonstrate writing conferences is a great way to show students what a conference looks like. Model teacher conferences, group conferences, and peer conferences and set a system for conferencing. While you are modeling what conferences look like, don't forget to model what it looks like for students that are NOT conferencing too! Through the first days of independent writing, work through what each step of the writing process looks like. As you continue independent writing, students will build their writing stamina and work to write for longer periods of time. Be present and aware of when students become distracted as you build their stamina. These distractions can help guide your shared writing time. Shared writing time will be a recap of the routines that you are focusing on from the mini lesson. You may give tips, answer students' questions, or have students pair up to discuss struggles or successes. This time can be short but so important to make sure that the routines are clear. As you move through the first weeks of writing workshop, and you are consistent in the format, you will notice that the repetition will begin to yield a successful writing workshop where students are ready to develop as young writers! Modeling writing behaviors is just as important as modeling classroom behaviors. It takes time!! You will thank yourself mid-year when your writing workshop can practically run itself! What a beautiful thing! Jen has taught fourth grade for 12 years in Western New York. Jen has always had a passion for writing; as a child, when asked what she wanted to be when she grew up, her steadfast answer was a teacher and an author. 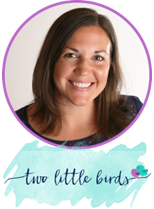 As a teacher blogger, Jen has found the best of both worlds! She has always loved teaching writing and now loves helping other teachers find a passion for teaching young authors too. Jen has a BA in elementary education from the State University of New York College at Cortland and an MA in curriculum and instruction from Buffalo State College. In her free time, Jen loves spending time with her four young budding authors of her own! Click below to check out a complete Launching Writing Workshop Unit.